The correct installation of AGRICOVER , both in dates and in forms, can advance the harvest from one to three weeks. 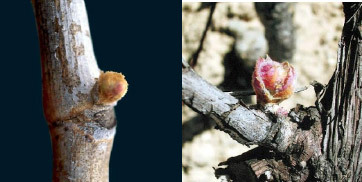 The improvement of night temperatures, thanks to the thermal effects of AGRICOVER , from the swelling of the shoots accelerates the following phenological stages. 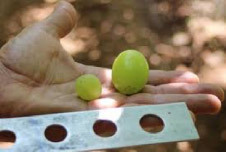 The grapes develop better when they are better nourished, the number of undeveloped berries is reduced, reducing therefor the cost of cleaning the bunches. Cover made with reinforcements for easy installation. 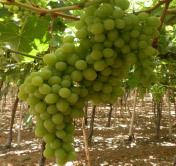 To advance the harvest in early varieties of grapes, specially seedless. It maintains a high temperature during the night, so it leads to a quicker development of the crops. In buds analyzes it has been shown that crops covered by AGRICOVER U has a high productive potential for the next harvest. Also it achieves a high photosynthesis because of its high total light transmission, demonstrated in test results from independent laboratories. Improves the quality, weight and diameter of the berries. Table grapes, grown in either arbors or trellises. AGRICOVER U incorporates reinforcement in the central and lateral fold doubling the already high resistance of the cover, to attach the mooring tie. Its extraordinary strength allows a mechanized installation and collection. It is very light and its strength is several times stronger that films of Low Density Polyethylene. It has UV and aggro-chemical protection with additives formulated and supplied by leading European manufacturers. A. High level of long wave IR blocking. B. Light diffusion in three levels. During the day. The shortwave IR radiation penetrates through the plastic, heats and accumulates in the mass (earth, water, leaves, trunks, stems, metals, woods, etc.) in the form of long wave IR. During the night. The long wave IR radiation accumulated in the form of energy in the mass is blocked and retained by the high IR thermal of AGRICOVER avoiding the thermal inversion and cooling of the plant. 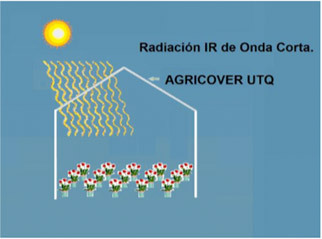 The long-wave IR radiation is reflected in the Agricover and returns to the plant. Therefore, at night, the leaves and fruits will be warmer than the air, thus avoiding frost damage and condensation and the possible development of cryptogamic diseases. The higher temperature allows a greater flow of sap and therefore a better and bigger distribution of nutrients that helps to accelerate the vegetative processes and as a consequence, greater precocity. In the optical qualities it is possible to emphasize that it has high transmissible light and also transforms the light in diffuse light. The diffuse light breaks shadows and makes a more even distribution of light. Agricover is manufactured with different levels of light diffusion: from very high diffusion of light, to avoid direct radiation damage, medium diffusion for areas with partial cloudiness and low diffusion for very cloudy or misty areas. The diffusion of the total radiation and therefore of the light, distributes it more or less uniformly, avoids the concentration of energy on certain parts of the plant, and reduces heat damage. C. Protection against Agrgo chemicals. To achieve the desired objectives, the installation of AGRICOVER U must be done on certain dates, it must be maintained for a specific time, and in a specific structure. 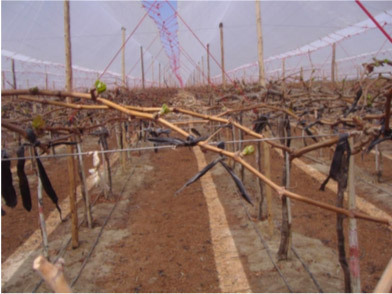 The cover should be installed on the crop after pruning and immediately after the treatment for regulation of growth and sprouting (application of cyanamide, if it is used as a compensation of lack of cold hours). Depending on the grape varieties, the type of graft and the climate of the plantation, the harvest starts between 90 and 120 days from the day of pruning and application of cyanamide and crop cover. In the northern hemisphere, the installation dates are during the second fortnight of the month of December and the first fortnight of the month of January. In the southern hemisphere, it is from mid-June to mid-July. These dates may vary from 30 days earlier to 30 days later, depending on the micro climate of the area, the varieties, and the desired dates of harvest. For example, so as not to accumulate all the production on the same days, pruning, treatment of cyanamides and coverage with the Agricover U can be staggered. 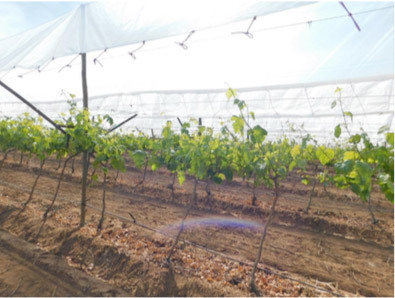 For the correct functioning of the thermal effect of the AGRICOVER U, it is necessary to install it in the form of a tent with gabled roof over the canopy. The distance between the foliage developed and the AGRICOVER, on the sides should be a minimum of 40 cm. to 60 cm, and in the center of the tent 80 cm. to 100 cm. This distance is essential to allow the light diffusion effect of Agricover to avoid excessive heating during the day. If the distance is smaller, the quality of Agricover diffusion can be canceled and the crop will heat up excessively. 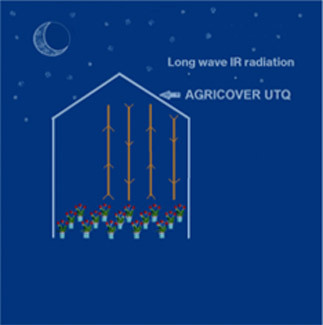 Despite this distance, on cold winter nights, Agricover will continue to block the long wave IR, and will keep the plant and all the mass with a higher temperature than the air. The cover Agricover manufactured with reinforced sides in which 2 or 3 rings per linear meter are inserted. In areas with strong winds, 3 rings per linear meter are installed, and in zone with weaker winds, 2 rings per linear meter are installed. For the fixation of the cover in the structure, it is necessary to have elastic connectors that are tied in the rings and in the side wires. These connectors or tubes are fixed to the rings with a definitive knot, and in the wire, with a knot easy to undo, to be able to collect the plastic tent once the campaign is over. In crops where the cover is used to advance the harvest, to improve the quality of the bunch and to reduce the needles, it is advisable to remove the cover when the grapes reach the veraison stage (color change of strong green to light green or turning to color). From veraison, the coverage no longer advances the date of harvest, nor improves the quality of the cluster, its usefulness is reduced to protector of rains. To protect the Agricover from the sun for the next campaign, and not having to remove it completely, it is collected and wrapped in the flap. The flap is made of material with greater protection against UV radiation to ensure long life. In regions with very cold winds, temporary side protection can be placed. Upon reaching the veraison stadium, the back protections must be removed. 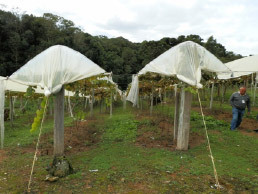 Agricover picked up and wrapped in its lapel when arriving at the stage of veraison, in Spanish vine arbor in Peru. The same tubes that fixed the cover to the wire, once untied, are the ones that are used to tie the collected cover. d. Coverage for rain protection. In these cases, AGRICOVER coverage is not removed in veraison, and is left until the end of harvest. To avoid excess temperature under cover at this time, when the climate is warmer, the installation instructions must be followed exactly. 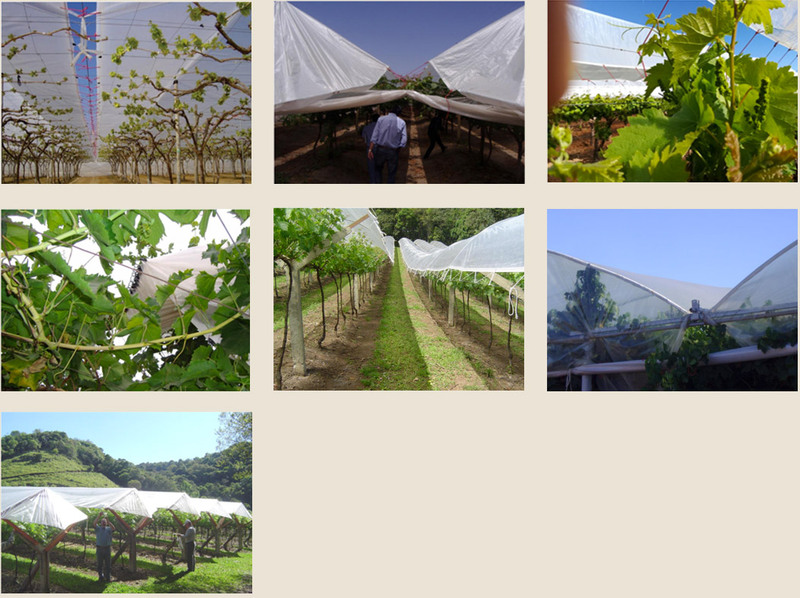 If the objective of the use of Agricover is also a rain protector, the distances between the plant and the cover, that is, 60 cm, should be taken in consideration on foliage in the lowest part and 1.00 m. in the highest part, as seen in the photos of chapter b of Installation. 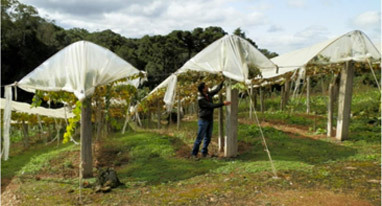 In case of having left the covers until the harvest, they should be removed and folded to leave the crop outdoors to allow the plant to continue vegetating in natural conditions until the fall of the leaf.